A nice town house for sale in Vélez Rubio. Occupying a corner plot, you enter into the house directly into the lounge/diner in front is the kitchen and to the right a bedroom with door to another room. The stairs from the lounge lead you to three more bedrooms and two bathrooms spread over two more floors. To the third floor you will find a small roof terrace. 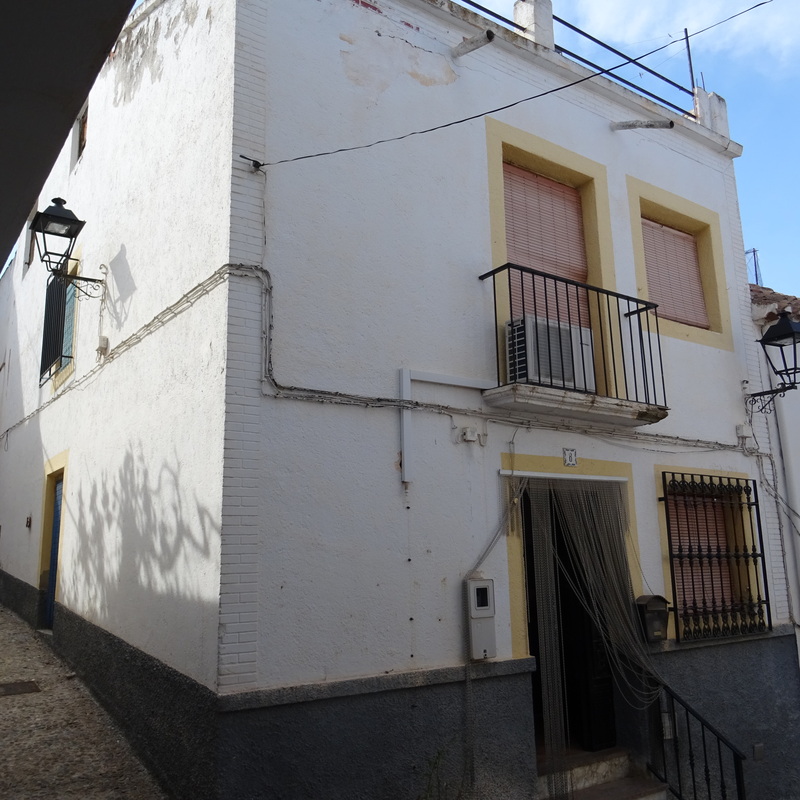 The house needs to be updated and is a short walk away from the main square. Vélez rubio has all the services you need with health centre, banks, shops, restaurants ,bars supermarkets, sports facilities and the nearest airport is Almeria approximately one and a half hours drive away with the coast approximately forty five minutes.